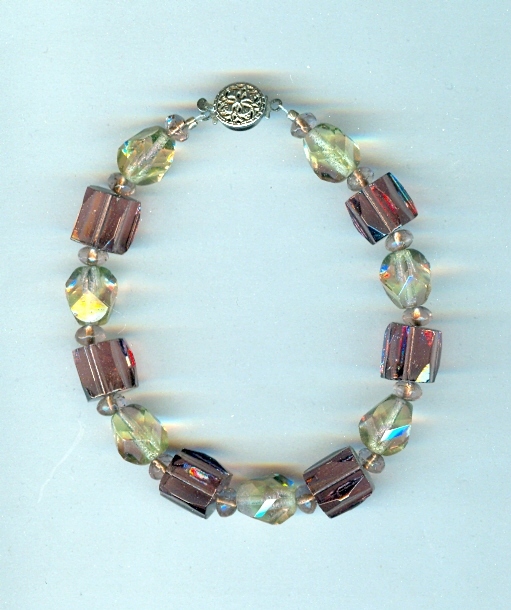 This 7-1/2 inch bracelet is made with big, chunky 10mm faceted amethyst crystal tubes, and nuggets of light green crystal with clouds of the palest lavender suspended in their depths. Separating the two larger beads are tiny lavender roundels. The bracelet closes with a dainty ornate vintage silver plate slide clasp. It's absolutely stunning ... and it's absolutely from SPARKLE PLENTY.